LONGMONT, Colo., August 20, 2018 – Physical Rehabilitation Network (PRN), happily announced the grand opening of their newest facility in Colorado. The Longmont clinic is located at 2130 Mountain View Ave., Suite 204, and will is managed by the clinic director and partner, Brad Grgurich, PT, DPT. A native of Pennsylvania, Brad has been living and working in Colorado since receiving his doctorate in Physical Therapy from the University of St. Augustine. Brad understands how movement can positively impact a person’s well-being and has a passion for aiding patients in their quest for improved quality of life. 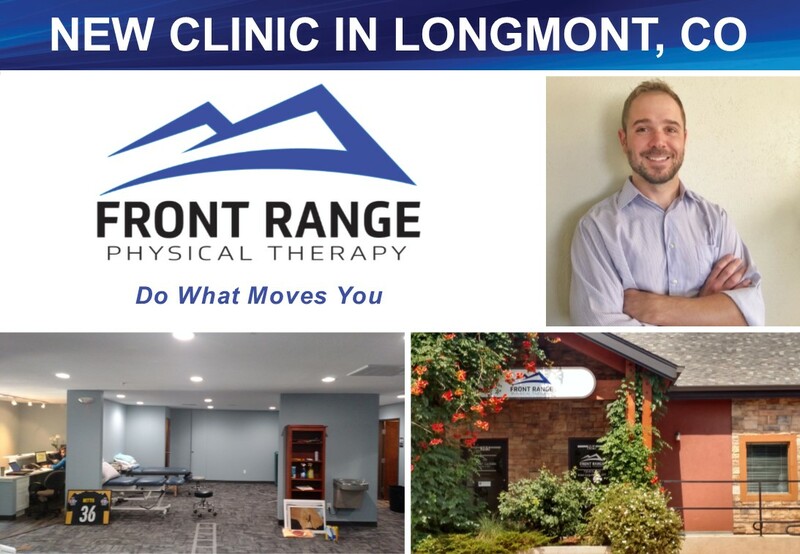 Along with five other brands in the market, Front Range Physical Therapy – Longmont marks the 20th clinic in Colorado lead by Regional VP, Jeff Lipkin, PT. The outpatient clinic offers a full spectrum of orthopedic rehab services, and also includes specialty services of trigger point dry needling, spinal manipulation, functional movement analyses, blood flow restriction therapy and whole body vibration. Appointments can be scheduled by calling the clinic directly at 720-815-1188. Early morning and evening hours are available for scheduling, and most major insurances are accepted. For more information on the Front Range PT brand and locations visit www.frontrange-pt.com. For a full listing of PRN, clinics visit www.prnpt.com. PRN is actively seeking high quality, entrepreneurially-driven physical and occupational therapists interested in partnering with PRN as the company expands its footprint by providing opportunities for therapists to own their clinic. For more information on our model, our locations or partnership opportunities, visit PRNpt.com or contact Michael Rice at 312.560.6020 / [email protected]. You can also follow us @PRNPhysicalTherapy on Facebook, @PRN_therapy on Twitter or LinkedIn.